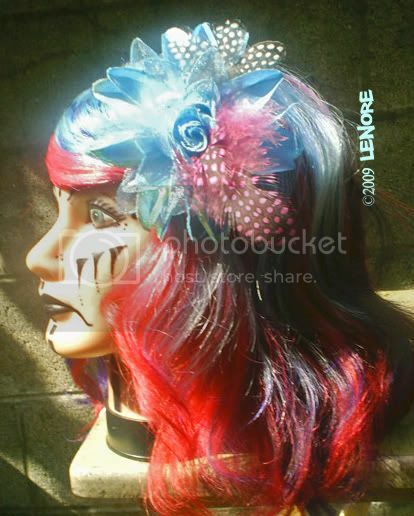 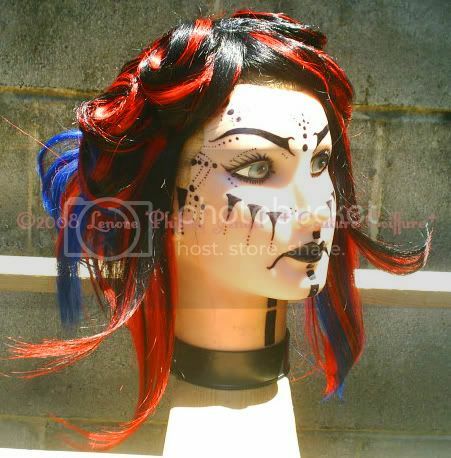 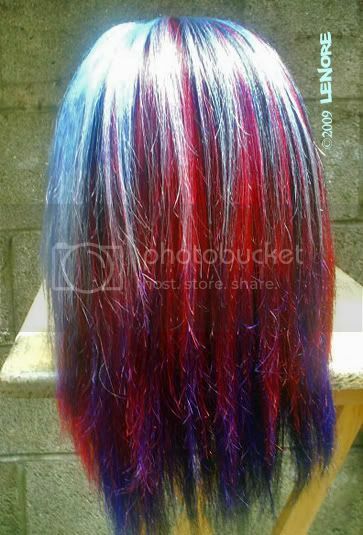 Black, red & blue HH hand made wig. 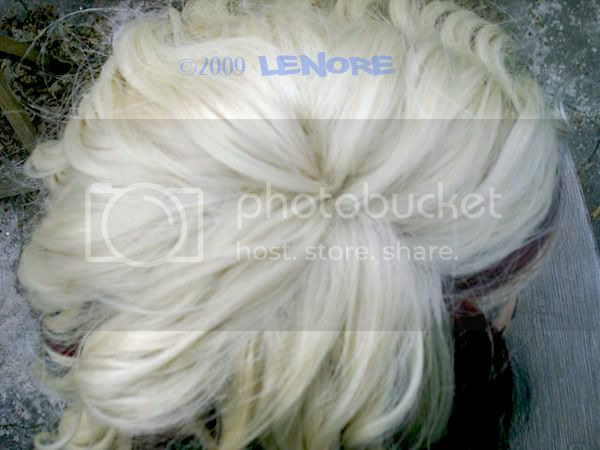 Last edited by Couture_Coiffure on Wed Apr 22, 2009 9:04 pm, edited 1 time in total. 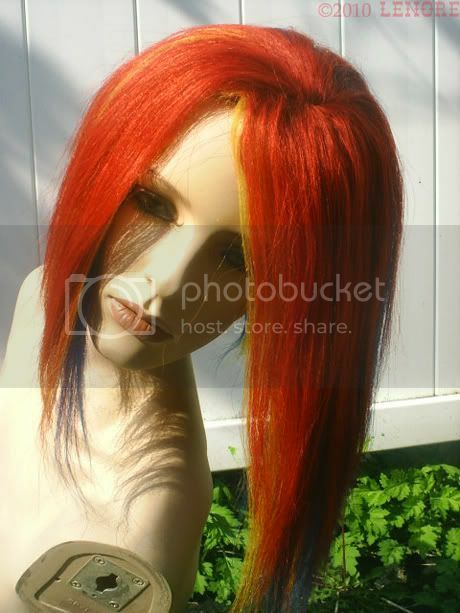 Black, blonde & mix red [hand dyed] HH hand made wig. 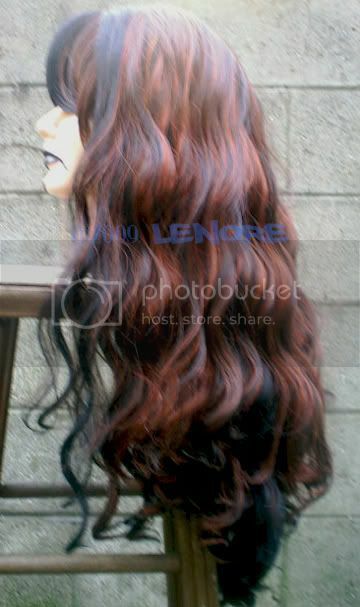 Black and red HH; hand made. 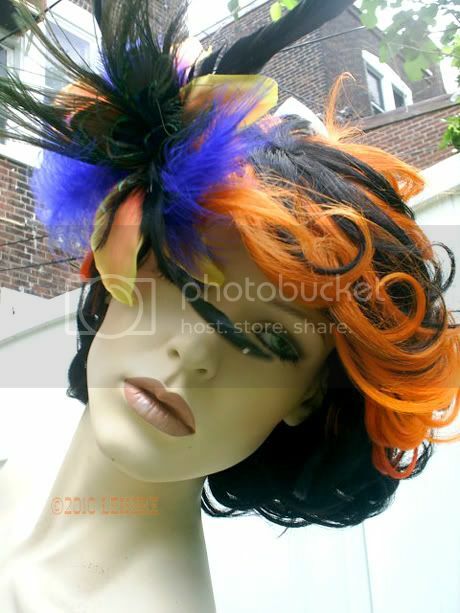 Red and blond HH hand made; mounted on stocking cap. 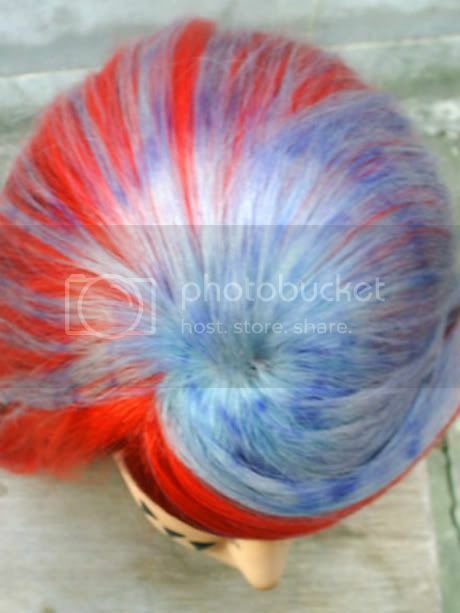 Red [hand dyed], pink [hand dyed] and blonde HH; mounted on stocking cap. 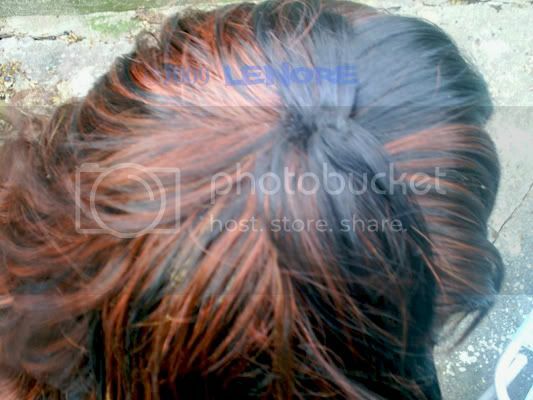 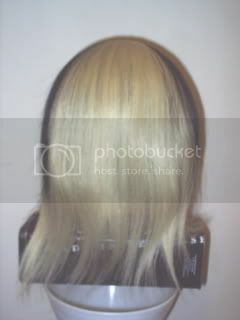 Blonde, light auburn & dark auburn silky texture HH half-wig. 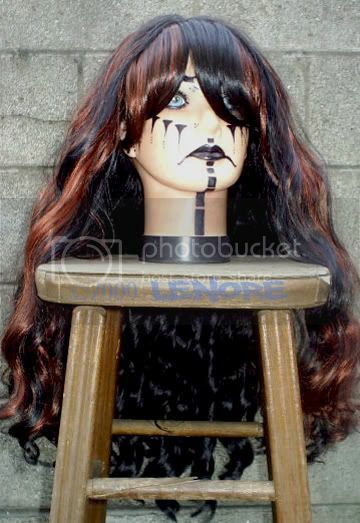 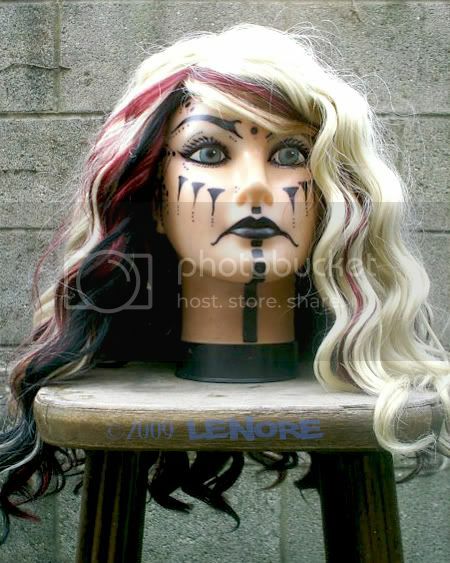 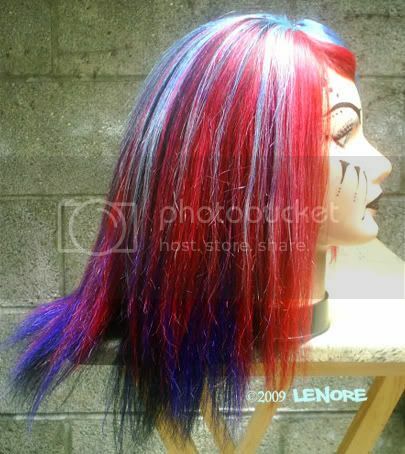 Hand made and mounted on high quality wig base; hair was razor cut for texture. 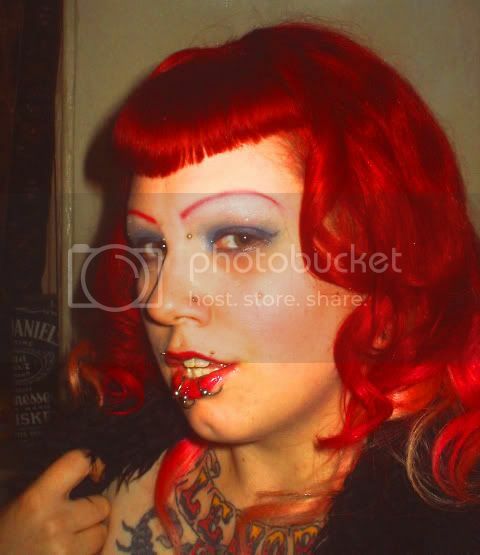 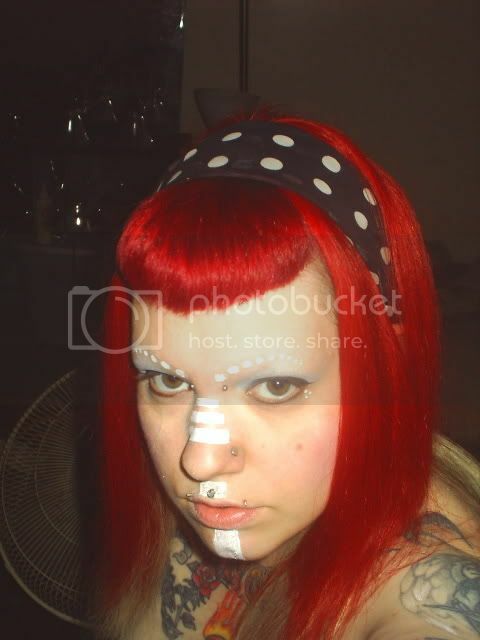 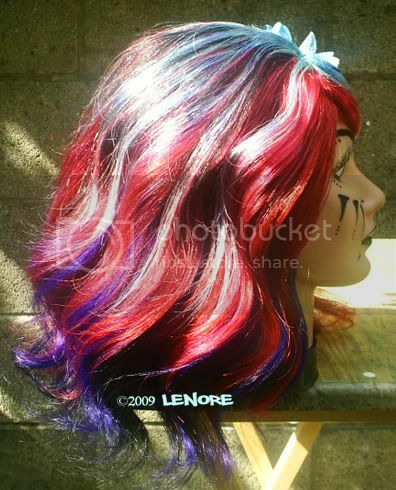 Colors are based in SFX Midnite Blue and Blood Red, with variations achieved thru hand application techniques. 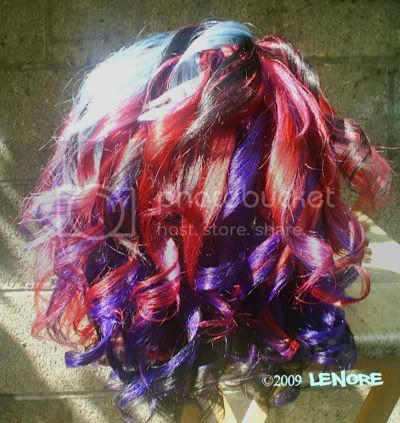 Teal was created by adding bleach to Midnite Blue. 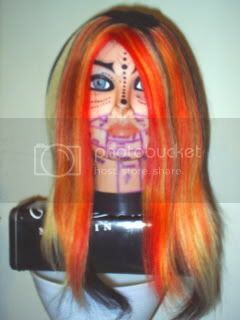 Last edited by Couture_Coiffure on Wed Apr 14, 2010 4:42 pm, edited 1 time in total. 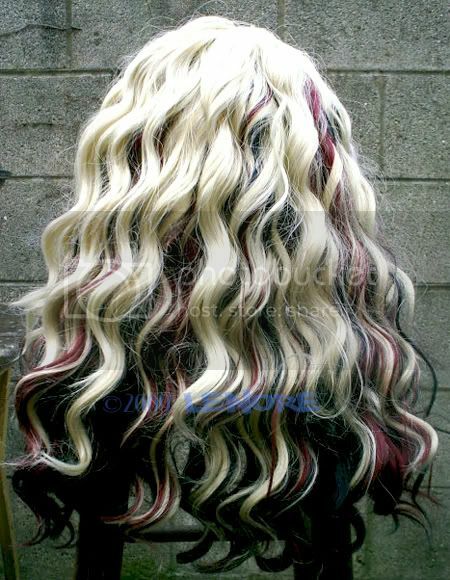 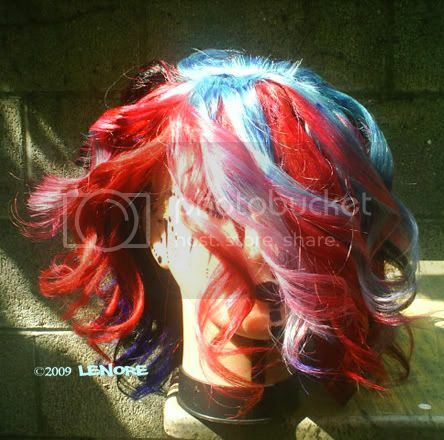 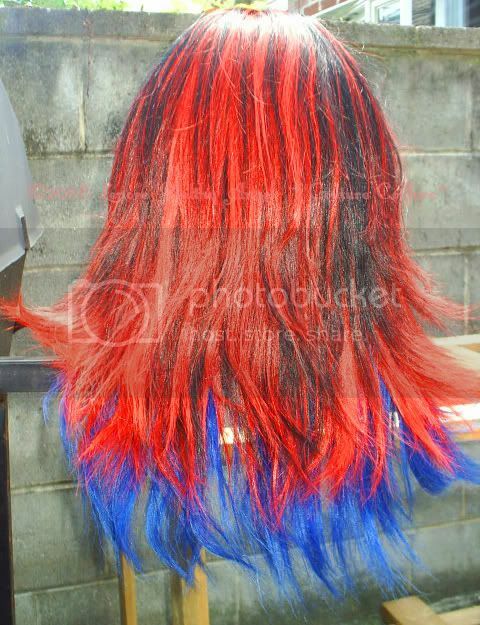 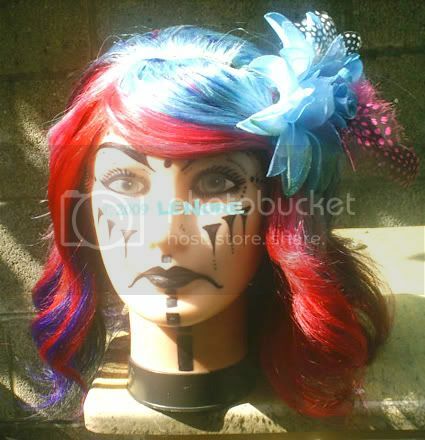 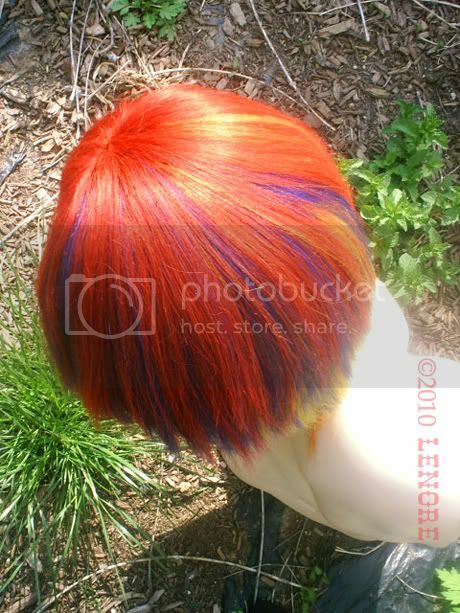 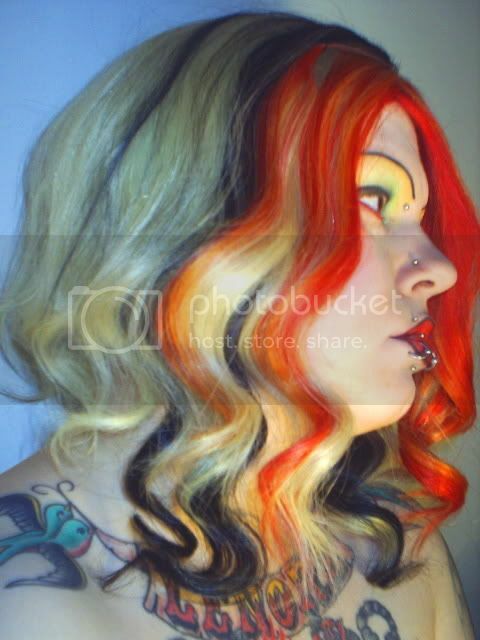 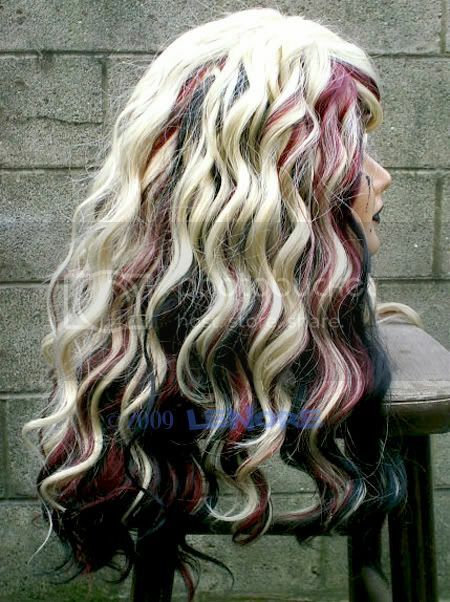 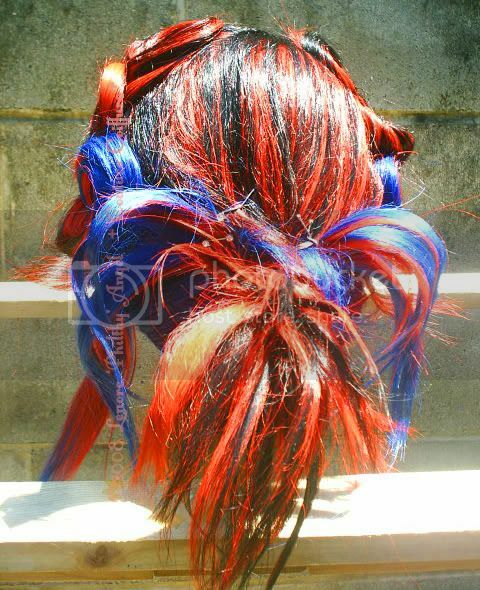 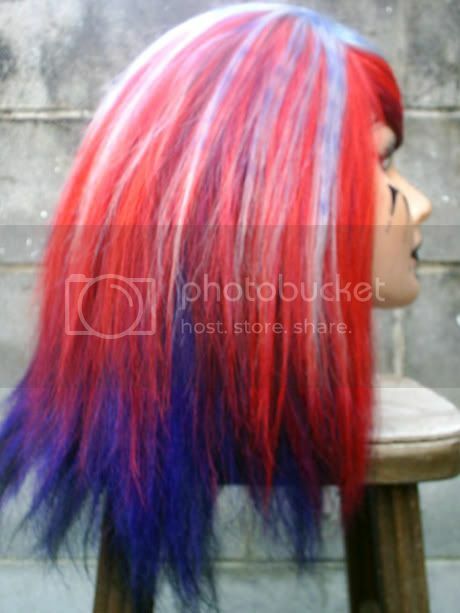 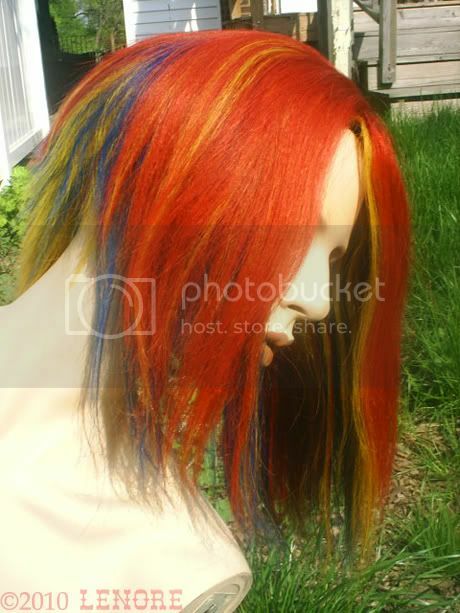 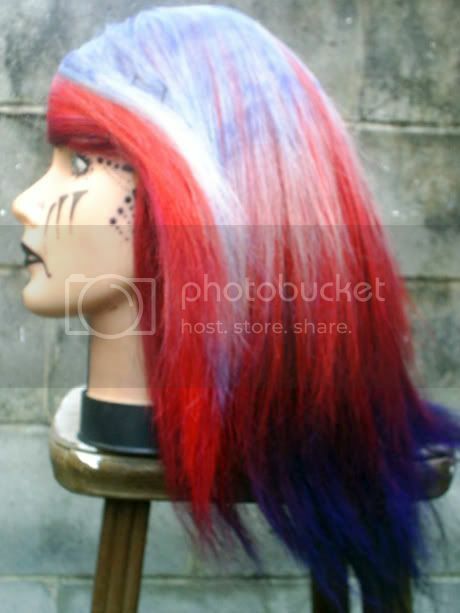 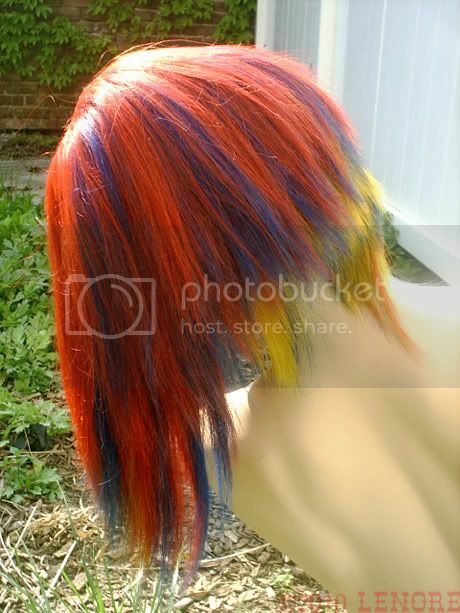 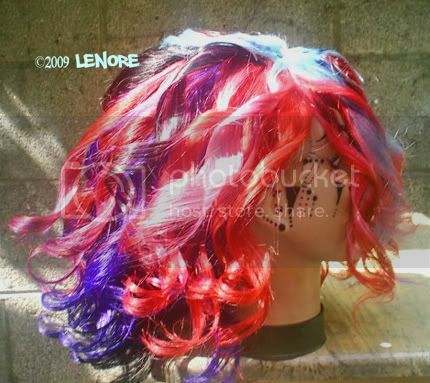 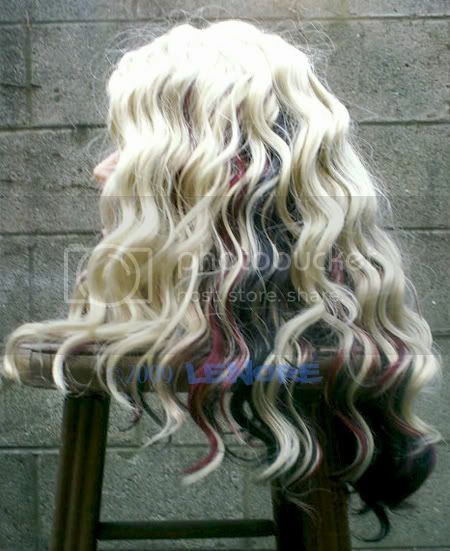 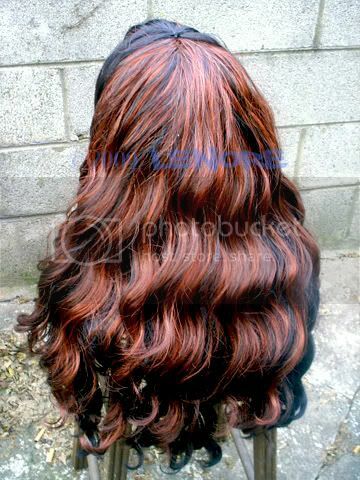 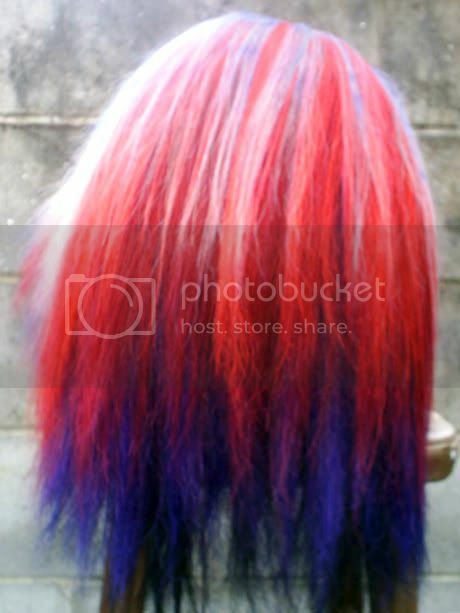 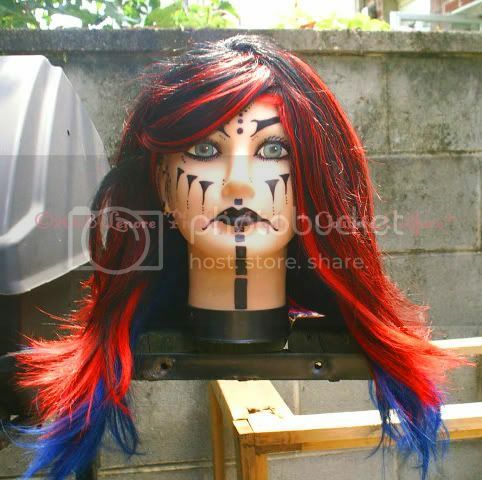 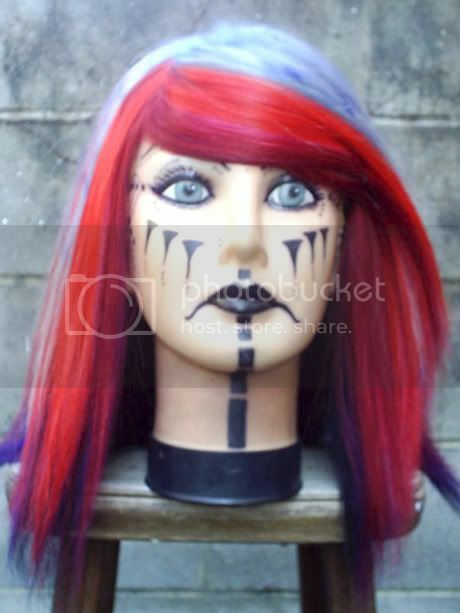 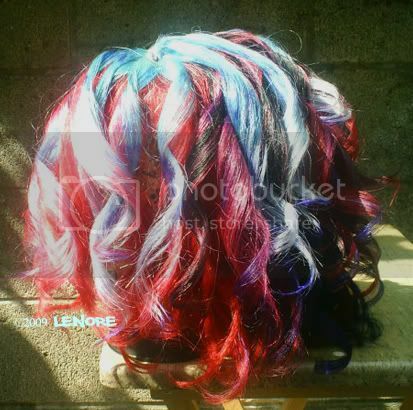 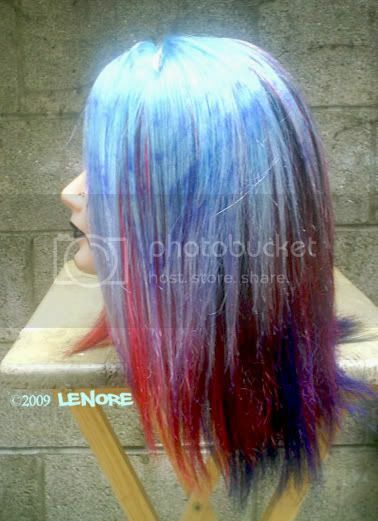 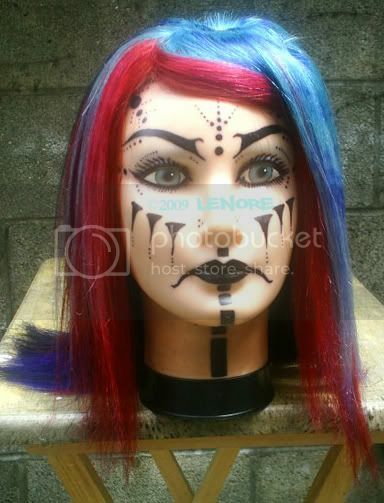 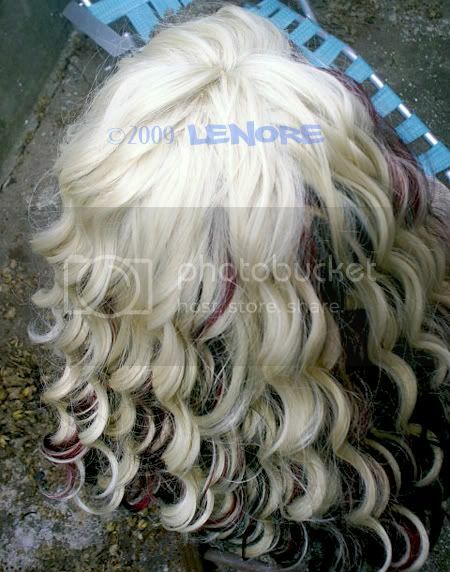 Red, blue and yellow human hair extensions mounted on high quality wig base. 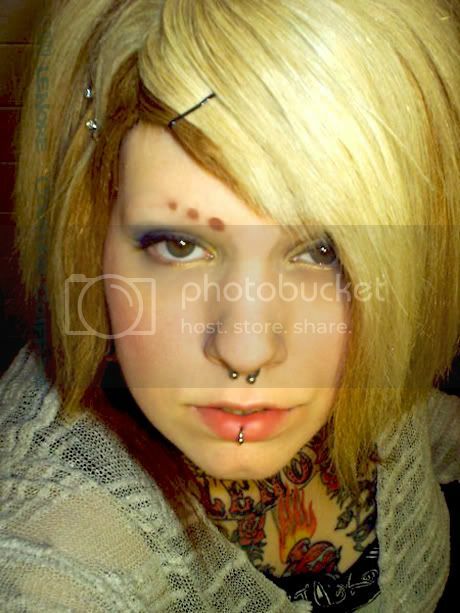 Hair was razor cut for a-line style. 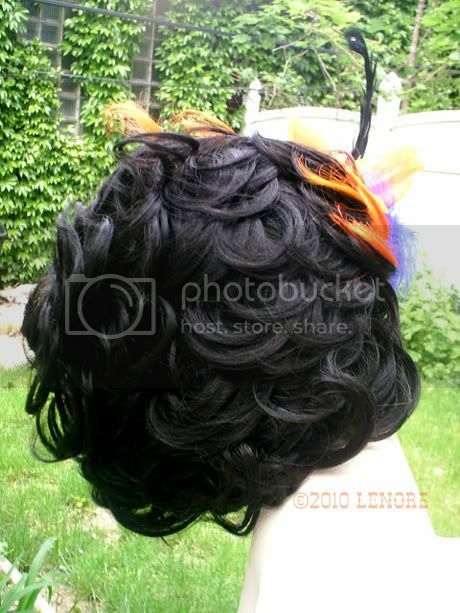 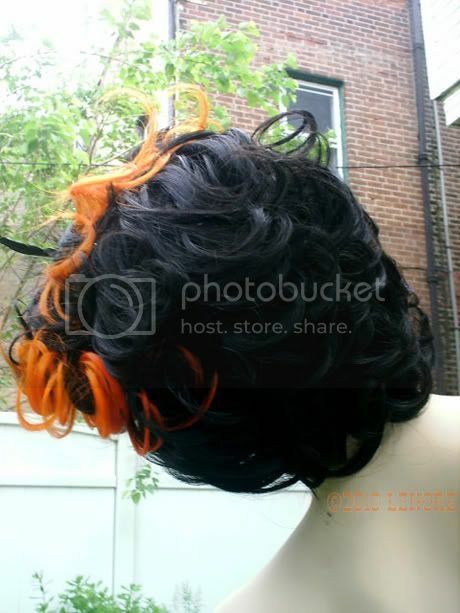 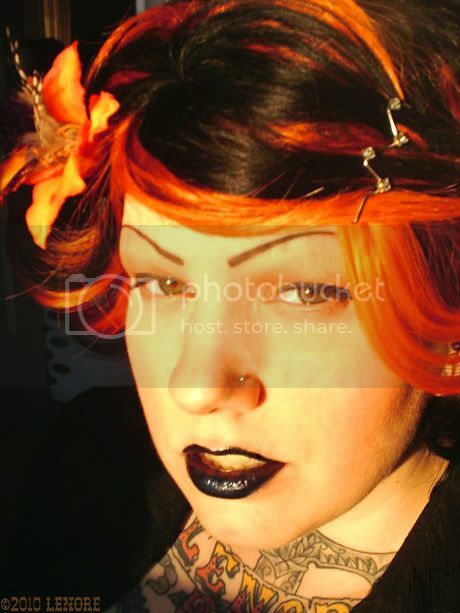 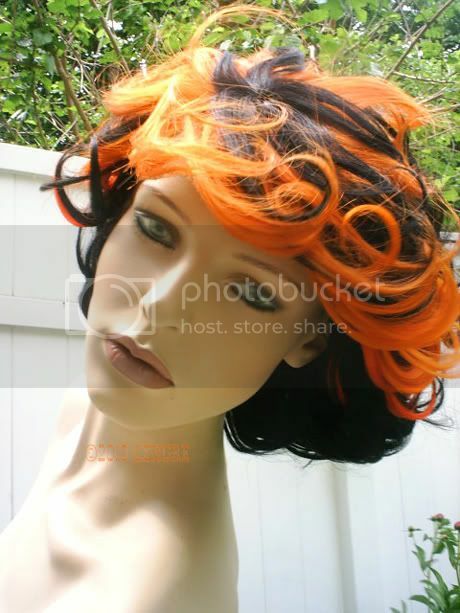 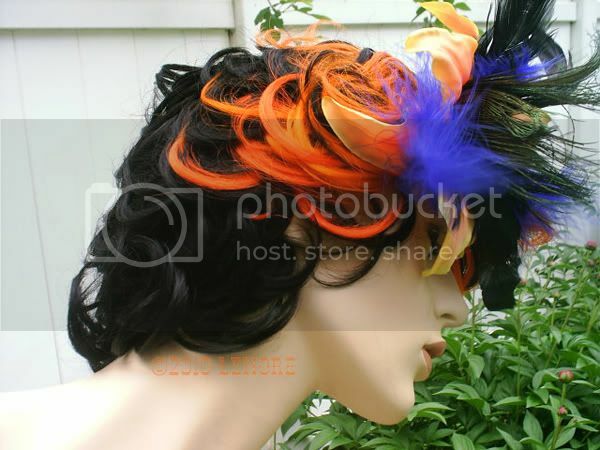 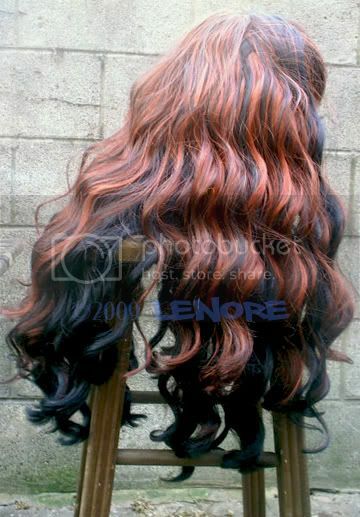 Black and multi-orange J Feather 7 inch human hair extensions mounted to weave cap.